This is a simple story of a lady’s recollection of a man who is not just her Father but also her role model. 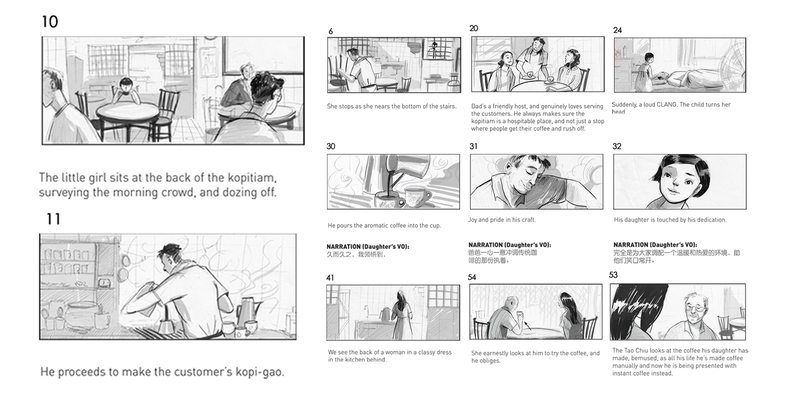 From the initial stage of the screenplay, we explored how we can portray the characters with Creative Agency, BOB, while subtly marrying the story with Owl coffee’s heritage and history since it’s establishment in the 1950s. To ensure that the cast is able to deliver their characters, we set the direction to be one which was genuine to capture the nuances of the viewers. Less is more. That was the challenge – to show, not just tell. We strived to narrate a story of an unsung hero; a story close to our hearts. One which you will share and remember in your life. Finding a location in Singapore that could reminisce an old coffee shop in the period of 1960-70s was one of the main challenges. Nevertheless, with the efforts from the Art Department, the location was brilliantly set-up with antique props and furniture. Every detail was neatly positioned in bringing the coffee shop alive, including the talents’ wardrobe, conforming to the environment and era that we envisioned. We wanted to portray the culture and history of authentic coffee-making in the old days, traditionally brewed with coffee socks. The casting was a strenuous process in searching for fresh and new faces; talents who could genuinely get into the characters. Interestingly, Guo Cheo (Father), was not only a first time actor but also had no experience in coffee making. 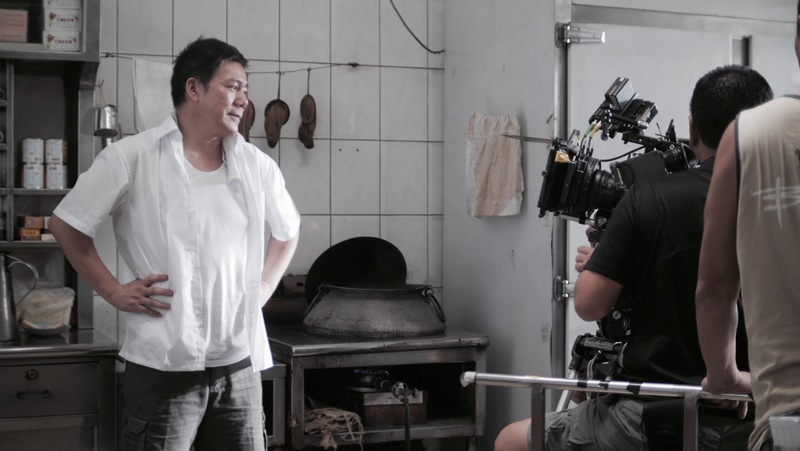 Therefore, the need for an experienced traditional coffee maker on set was necessary to guide Guo Cheo professionally. 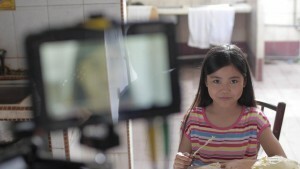 Kamilla played the role of Guo Cheo’s daughter when she was young. Coming from the descendant of Kazakhstan, Kamilla had little exposure to Chinese culture in reality – therefore helped in carrying the character as a young daughter who is inquisitive and observant. With prior experience in modeling and TV, Aimee Cheng-Bradshaw was able to express herself through her character as Kamilla who has grown up. With little dialogue, Aimee brought viewers to identify with her – in showing accurate expressions of a daughter who has been away from her father for a period of time. Principle photography started in mid december 2015 over a period of 2 days. Lensed by Calvin Shang and directed by Jake Nam, the aim was for the cinematography to aid in telling the simple story in a more dramatic way. 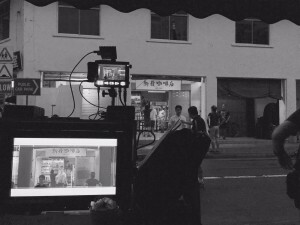 The director’s vision was to give the tale of the normal coffee shop and it’s characters a larger than life and cinematic feel to it. If you noticed, the little girl never had close contact with her father intimately but what connected the two was through framing. Each time we see the little girl wanting to reach out for her father, we see how the frame gets closer to her. Ultimately, we see how the two connect in the last scene when the daughter has grown up. 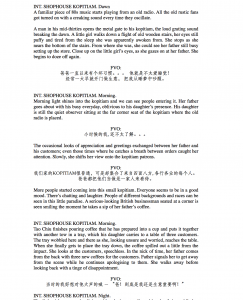 This quickly establishes the father and daughter’s relationship of a traditional Chinese family especially in the past, having all the love in the family but never actually intimately close to each other. In post-production, two elements that gel the story together was the design of the film score and color grading. Our Colorist, Benny Wong, gave a stark distinctive palette for each past and present scene. Jake’s direction for scenes in the past was to allow viewers to feel nostalgic without over-saturation with typical “Sepia” tint look. The day time scenes were to have a ‘golden age’ look while the dawn scenes, a retro greenish-blue tint feel to it. 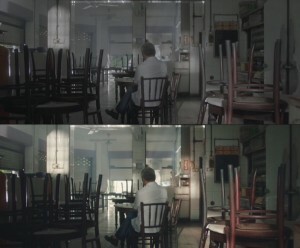 In comparing the color and tone, present day scenes are much cleaner and higher in contrast while the past scenes are much more muted and soft.